Bearing this in mind we do try our best to make sure you get what you want and in some cases you can apply for a faculty which if passed will allow you to have your desired choice even though its not within the rules. We are happy to talk through this process with you in more depth. 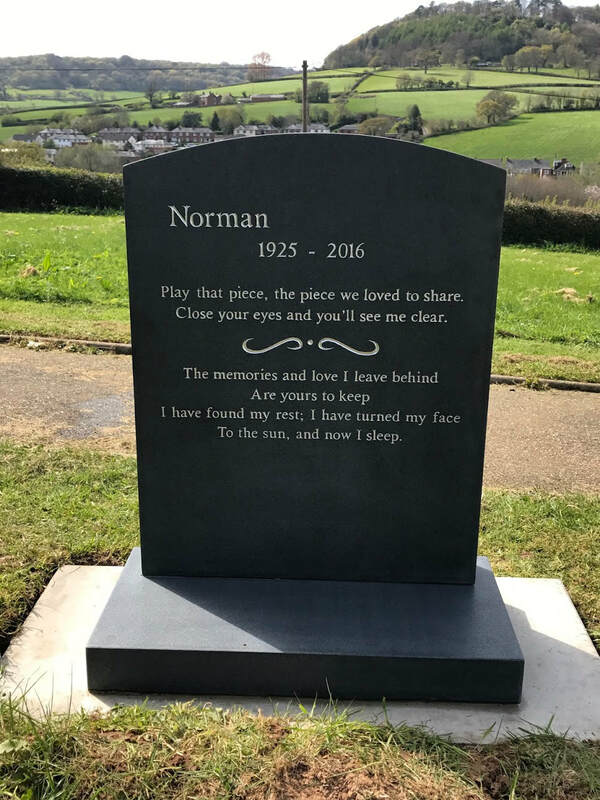 You maybe be wondering what all these variations look like so we have included a gallery below of Memorials which we had fixed into Churchyards both Local and further afield, names of the deceased have been removed for client confidentially purposes. 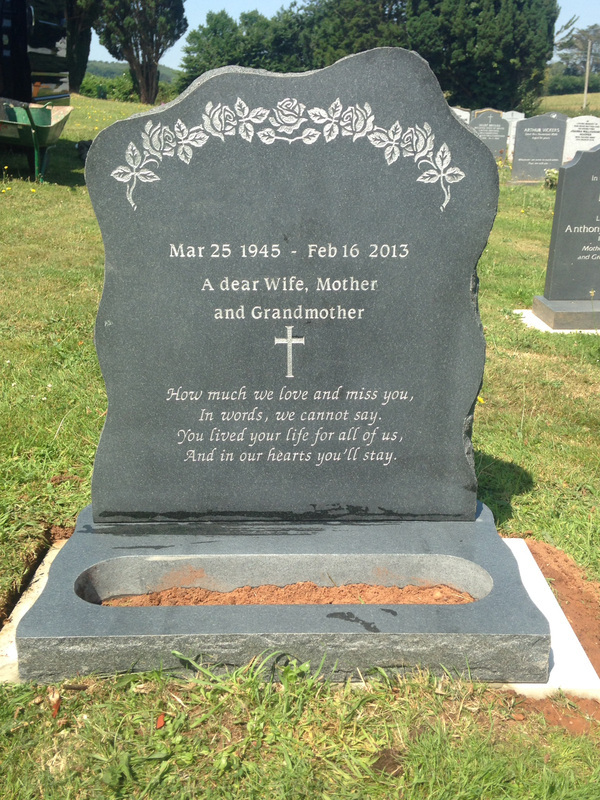 How long do I have to wait before a memorial headstone can be erected ? A period of 6 months must elapse after a full burial has taken place before a memorial can be erected. This time is required to allow the ground to settle before it can take the weight of a memorial headstone. Who has the right to purchase a memorial ? The legal next of kin is the only person who has the right to purchase a memorial. If you are not married the right remains with either their parents if still living or siblings in eldest order. Why can't I have a polished stone in a churchyard ? All churchyard memorials have to be in keeping with there surroundings i.e. Churches that are listed buildings, hence the restriction in colour and the finish of the stone have to blend in with the church itself. Why am I restricted on the wording I want ? The Name has to reflect the birth and death certificate of your loved one. Any nicknames can be added in brackets underneath. the minimal dates allowed are passing away date and age. Accidents as rare as they are do happen to make sure they your memory of your loved one it protected against all eventualities. When people ask us about this optic we advise them to look at Stone Guard Insurance we have found them very friendly and co-operative. If this is something you are interested in please speak to us for further information.